At the beginning of November, I announced I’d be participating in the NaBloPoMo, which is where bloggers pledge to post on their blog daily for the entire month. I think this a great idea, and a great exercise, and this would be my first year taking a run at it. 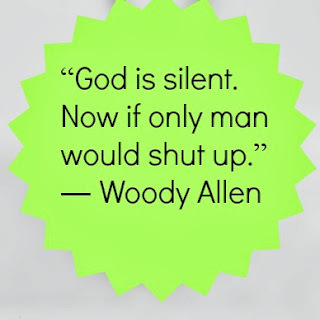 I blogged religiously for about the first three weeks…then, if you’d been counting, you’d notice I suddenly stopped keeping up. This wasn’t laziness, or distraction, or anything else of the sort. I just realized I’d learned some lessons from the exercise that actually made it clear the exercise needed to be stopped. It was somewhere around the end of week two that I started to see a concerning pattern: I’d rush home at the end of the evening’s activities to write out a post; sometimes I’d be feeling frustrated and flustered, while sometimes I was eager and inspired. This is normal, and all part of the experience. But either way, I best like writing at the end of the day, when enough stupid things have happened to fuel my sarcastic humour—or, on other days, I’m tired out enough to be mellow and have a high level of concentration. So here I was, rushing home to write, and I started to miss out on life. Alan’s kids came for the weekend, and I sat at the computer for the better part of one particular Friday evening, furiously typing away for a specific post. Usually Friday nights are catch-up time, where the family engages in chatter and planning for the weekend ahead. 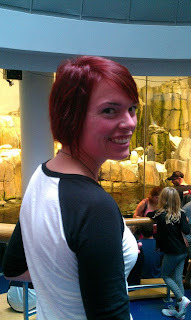 While I was physically present for much of that usual stuff, I wasn’t mentally there at all. Instead of the feeling of accomplishment I’d thought I’d have at the end of the night, I felt like I'd missed out. There were several evenings when Alan and I would come home from an activity, and instead of ending the night off with a good cuddle, I sat in bed with my laptop ‘til midnight. I tried writing during the day instead, and found that I was missing out on time-sensitive tasks, as there are so many things in this world that require regular business hours. Other projects started getting delayed—projects that affected my happiness, my profitability, or my productivity. I think, especially for those of us who make our living from home, or online at all really, you can overdo the whole 'sit at a keyboard' thing if you aren't careful, no matter how positive your intentions were to start. Life doesn't wait for you to document it. I hate being bored, you see, so I’m always doing something. I try not to have it be busy-body work, but rather, I try to check as many boxes off of life in a day as I can. I haven't sat still for an entire movie in over a decade. I’m sure some people would say my pace is unrealistic or unhealthy, but it’s a pace I’m generally very happy with. I like to go to bed tired. Busy and productive are different animals. But I don’t like busy-body work, and the reality was that (mandatory) blogging daily felt like busy-body work. I don’t mind the idea of writing something and saving it on my computer everyday; but to write something for public consumption every single day is just something I’m not always up for. Quality content makes for contentment. I’ve been blogging for years—I had a blog before they were called blogs—and I know what makes good content: quality, not quantity. (Though brevity is another matter entirely.) 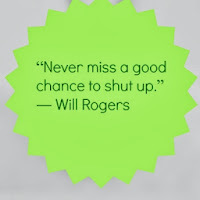 We’re all so eager to create content these days that we seem to have forgotten the idea that, unless you have something to say, silence is a viable option. 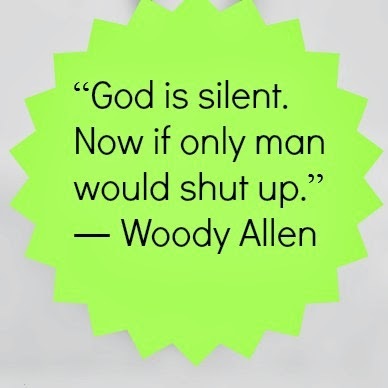 Sometimes I like to give the air a break, and instead of pumping out half-conceptualized chatter, I like to shut up and wait for something truly geniune and powerful to say. 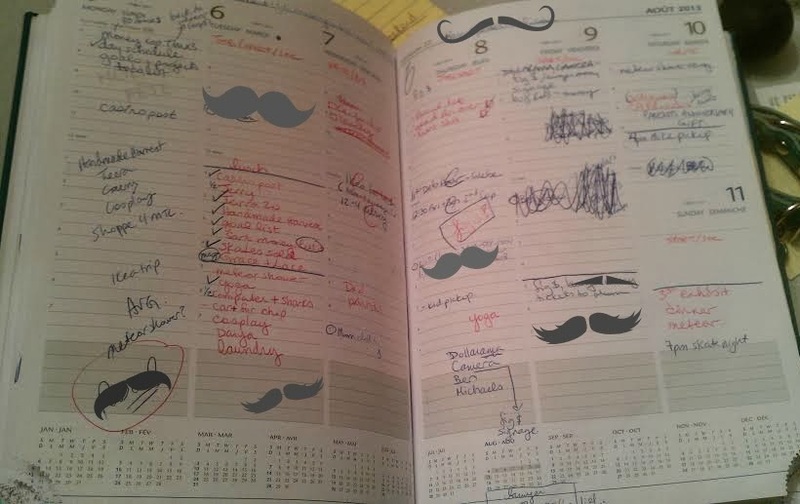 So I stopped participating in NaBloPoMo this year—by choice, not by mistake or poor work habits. Will I participate again next year? Absolutely, and I’m going to continue making time everyday to write, which was a good thing for me to get into. What I won’t do is burden you all with posts that were written with a sour heart while I miss out on family time…or posts that are poorly constructed…or posts that are written with a fake smile as I’m dealing with one of life’s hiccups (one of the rare ones I don’t feel I can share with you all, though I do know how much we all enjoy laughing at my follies). I will speak when I have something to say; the rest of the time, I’ll be living in the present moment, making mental notes, and preparing for the next great piece of prose to be delivered to my readers, who deserve my best work. 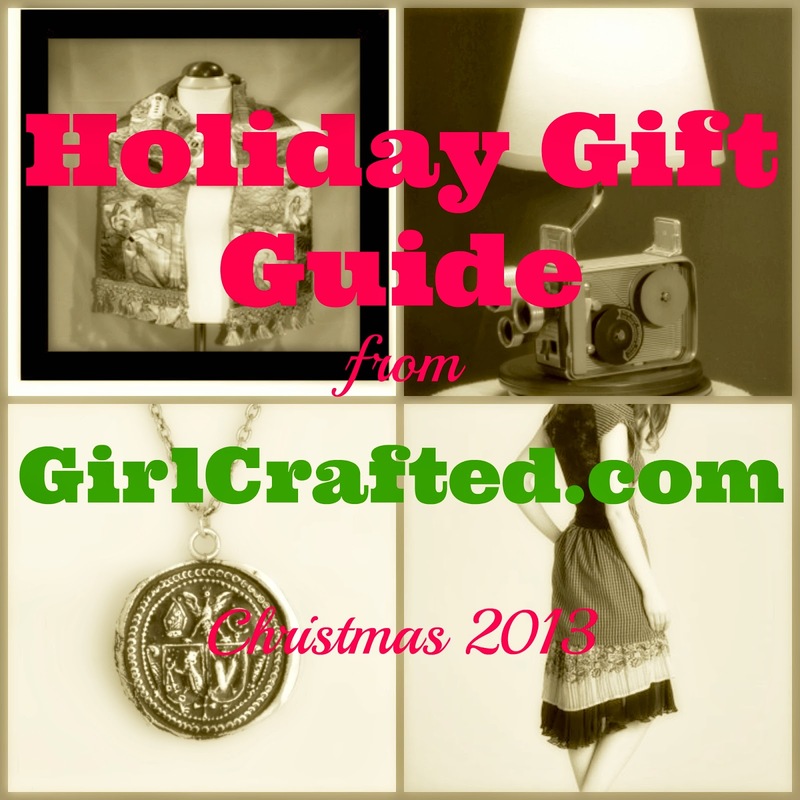 Girl, Crafted: Christmas Gift Guide 2013! 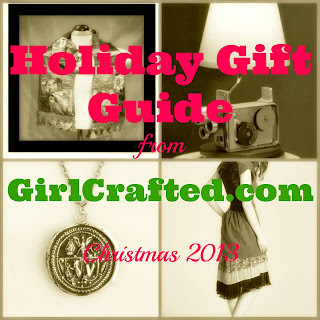 The gift-giving season is upon us, whether you celebrate Hannukah, Christmas, or Winter Solstice, and who better to give you unique gift ideas than Girl, Crafted! Here’s some of my favourite things from the past year (and beyond), both big and small. Note that because I do so love to support local, many of these favourites are Ottawa-based, but many of them have online shopping. 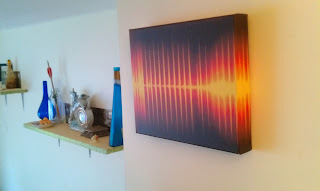 In a nutshell, Bauss takes any sound clip, song, speech, laugh, etc., and makes it into a piece biometric of art. You can see my post about the one they did for us, where they combined our two departed dogs’ barks into one piece of art that reminds us always of our furry friends. Bauss’ pieces aren’t inexpensive, but given the range of cool things you can do—your dad’s speech from your wedding, a secret word for your loved one, a child’s laugh—I find it’s worth every penny. A special, memorable gift for someone you adore. 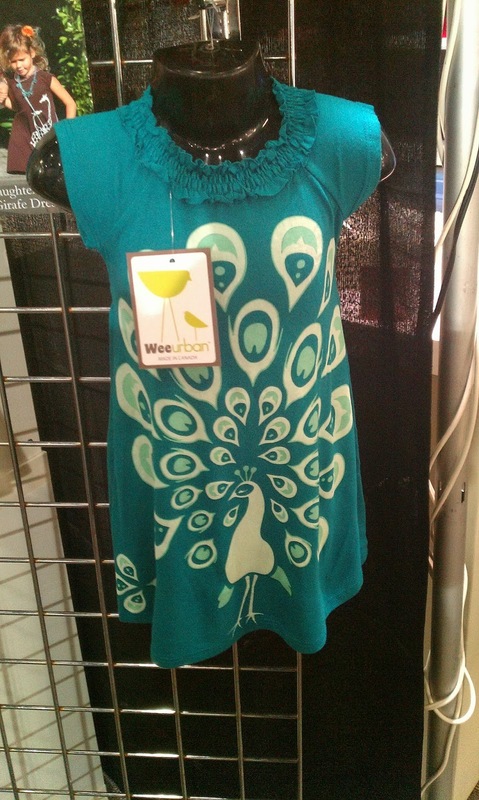 Try out their website to see what a piece will cost, depending on size and the materials you choose. 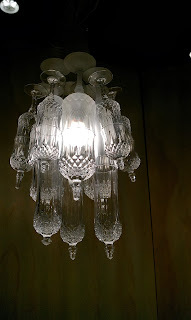 Margaret Sommerville is the genius behind these incredible works of art and light. Rekindled Lighting repurposes old awesome things like handmixers and clarinets and makes some fabulous lamps from these items. 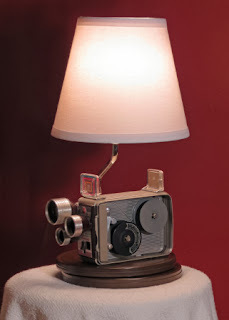 The finished product is something incredible, worth passing down through the generations, and generally way more useful than the antique mixer/clarinet/film projector would have been otherwise. 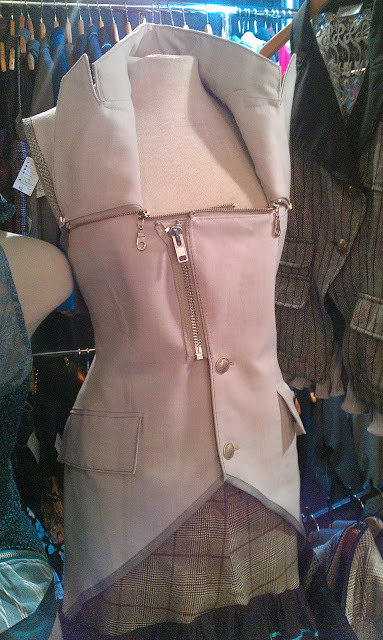 I featured Rekindled last spring in my review of the Handmade Harvest show, and I’m still in love with her today. Lamps range from about $60-$285. Kym Brown of Bombshell Revival is one of the coolest couturiers around. 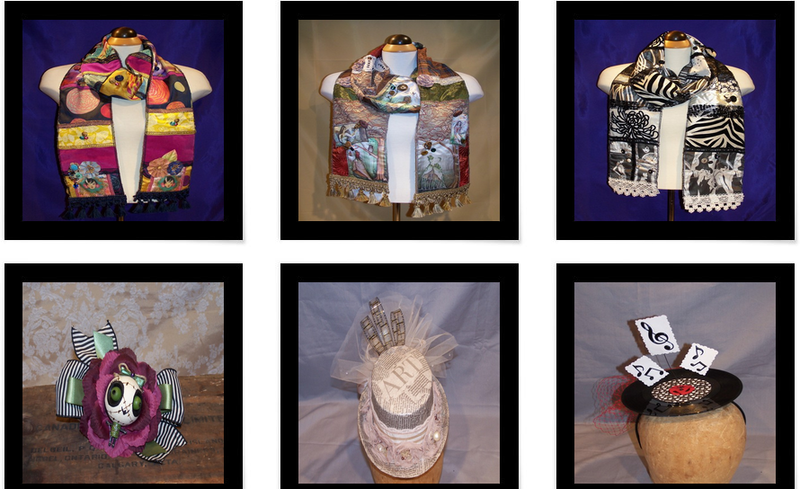 Kym uses a mix of recycled textiles and homemade printed fabrics to create incredible art scarves, gothy fascinators, and fashion-forward clothes. 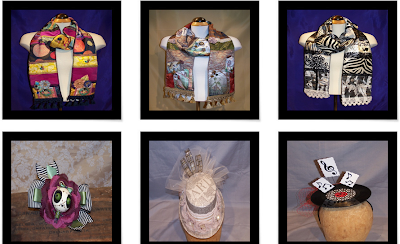 It would be hard to go wrong with one of her hats or scarves for the quirky fashion diva in your life. Prices range from $15 (funky hair clips) to $100 (art scarves), and up. 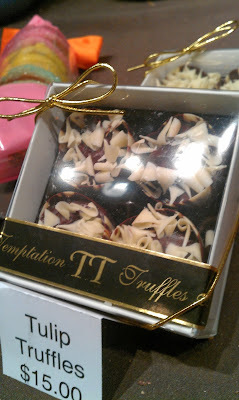 I can’t help loving what’s local, and Ottawa has got some great shops for gift-giving. For the geek in your life, you can’t go wrong here. A girl-friendly, GLBTTQQ-friendly, kid-friendly, and clueless-friendly place, the Comic Book Shoppe is an easy place to find the perfect gift for that diehard fan. 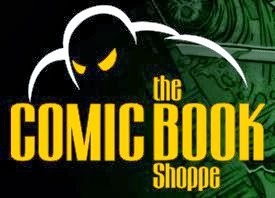 More than just comic books (though they have lots of those, too), the Shoppe boasts everything from Star Wars death star icecube trays, to My Little Pony tee-shirts, to Dr Who sonic screwdrivers, you can find something awesome to bring a smile to everyone’s faces. Popular this year are the Game of Thrones glassware, the Breaking Bad tees, and the Adventure Time hoodies. There’s also a Capital Geek Girls zone set up now, with favourite girly-geeky things curated for your easy girl shopping pleasure. Prices range from literally $1-and up. 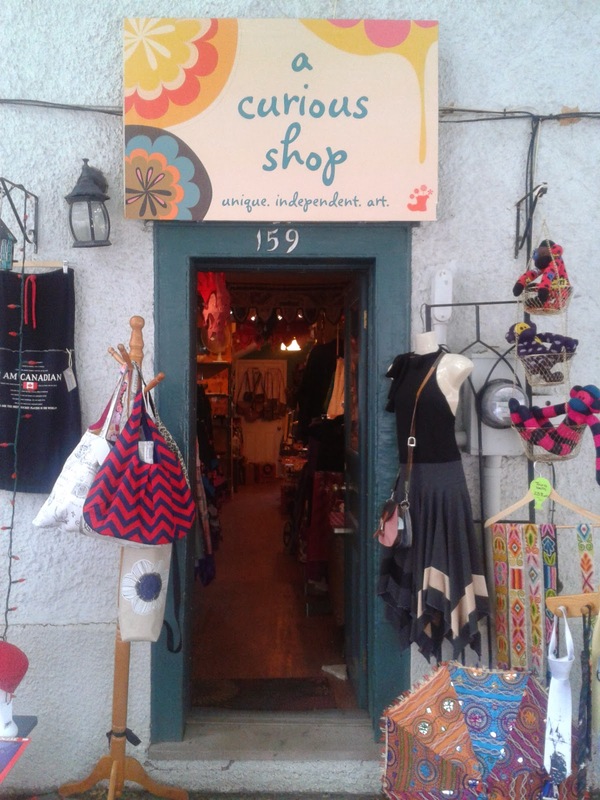 I’ve featured the Shoppe many times, as they are our HQ for the Capital Geek Girls; they never fail to impress with their wide array of kitsch, boardgames, and (my guilty pleasure) Tokidoki charms. 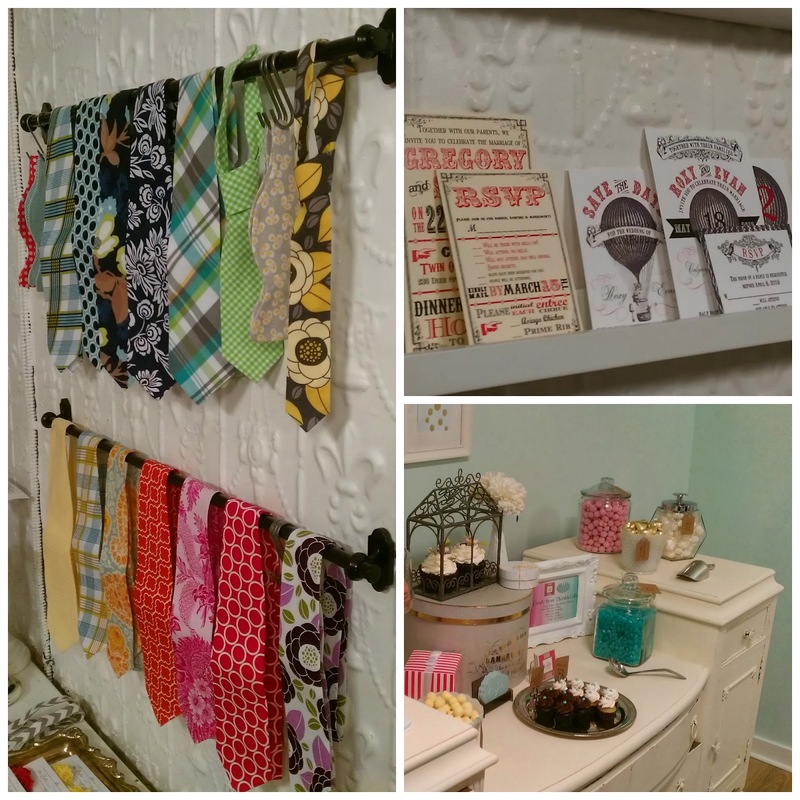 If you missed the craft show season this year, A Curious Shop is your year-round substitute. Curious carries handmade and small-production goods from all over the world. 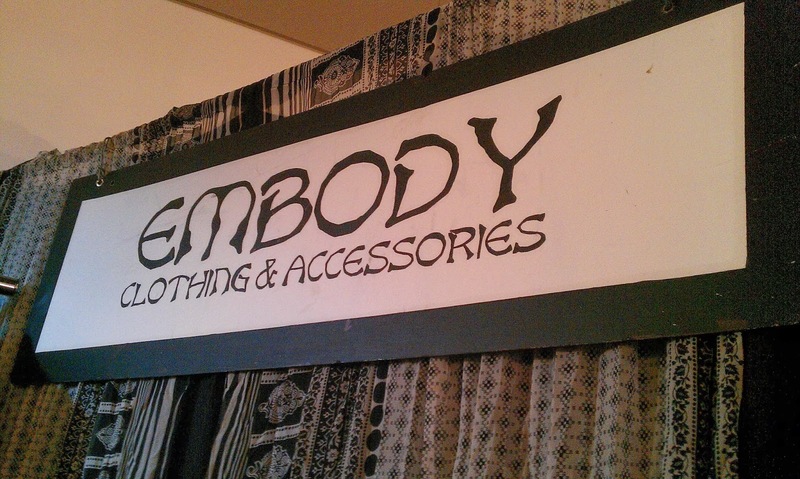 Shop here for your hippy/earthy/artsy friends. Take home a new cardigan made from recycled sweaters, or a funky beaded bracelet; fall in love with their adorable plushies, and ask if they have any of the patchwork parasols left from India…I grabbed one this summer, and not only did I stop getting heatstroke, I started getting huge compliments. You can read more about them on this recent post I did. Stroked Ego: for the fashionisto...is that a word? 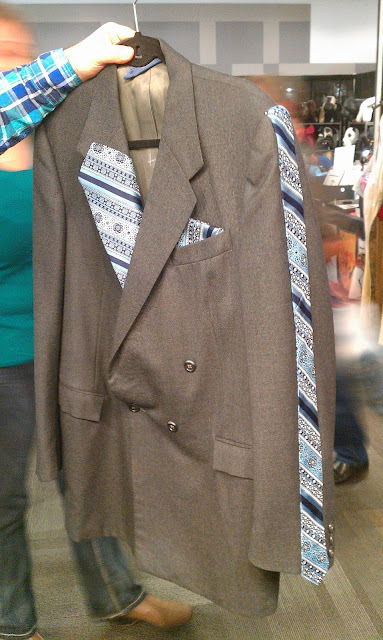 For the dapper man in your life—or the girl who likes to rock a gender-neutral look—Stroked Ego is the place to go. They have some fantatic lush circle scarves right now, and their cufflink collection is out of this world: we’re talking mini gaming controllers, working compasses, you name it. Last year I got my boss some mini airplanes; he got me some soap I’m allergic to, but hey, there’s always next year to hope for an actual bonus. Popular and posh is their collection of razors and shaving brushes, as the ‘slow shave’ is back in style. 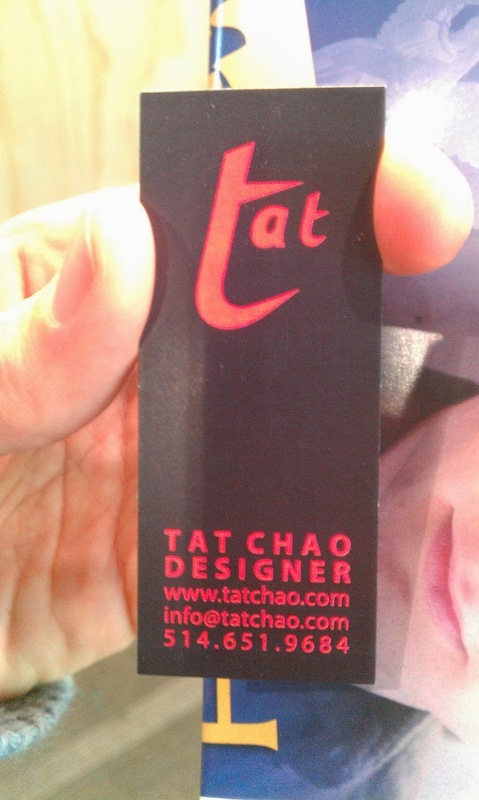 You can check out a video on their ties and razors here. They also have an extensive and infamous array of underwear; if you’re tired of seeing your favourite fella in the gymsock-grey boxer-briefs from W-Mart, pick him up a stylin’ pair of underthings and heat up your Christmas eve. I know, I know: TheHandmade Bride is not where you’d think to find Christmas gifts, but hear me out. 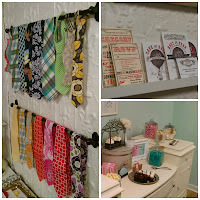 Owner Meaghan has found some of the coolest ties in town and has stocked her store with them. Bowties and long ties, these babies are adorable. There’s also some fabulous jewellery, and some adorable retro 1950s circle dresses that are meant to be bridesmaid dresses, but they’re so perfect for any party, there’s no reason not to grab one. And of course, if there’s a bride-to-be in your life, it may be cool to see if you can contribute a little money to the gown of her dreams. Check out my post of their opening night. Prices for accessories and dresses range from about $30-$3000 (somewhere in the $200-$300 range for the 1950s dresses). Body Poets, located in downtown Ottawa, is my favourite massage studio. Owner Ellen is a fantastic therapist, but everyone here has a specialty. I’m particularly curious to try Amy’s visceral manipulation massage, and of course there’s the luxurious hot stone massages, as well. 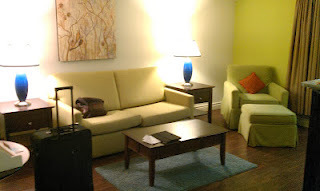 The studio is comfortable, professional, and easy to access even though it’s downtown. 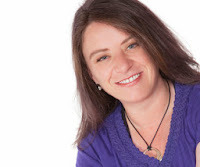 Body Poets has helped me with both general body relaxation as well as acute injury recovery. You can’t really go wrong here. Call and talk to the receptionist if you’re hoping to book something specific. Massages cost around $95 for an hour, and if you have benefits, you may be covered. You may have seen Jodi giving facts and tips on CTV Ottawa Morning Live; Jodi is one of my favourite health care practitioners in all the land. For the loved one who’s looking to learn about sports nutrition, eating for a gastro issue, or learning to use food as natural medicine for changes in your physical self, Jodi’s services can’t be beat. Contact her directly to find out what she’s got to offer in upcoming workshops, or ask her to assemble a customize program for someone special. If you’re visiting the Almonte, Ontario area, you must do dinner at the ARIK. 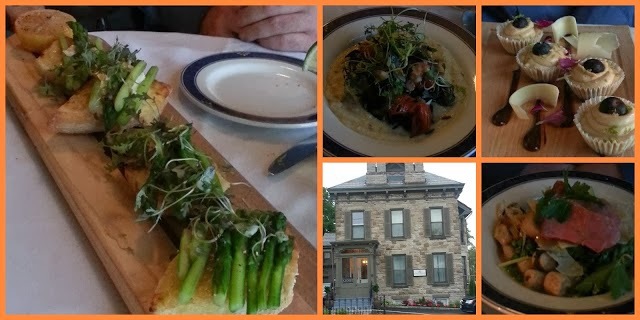 Check out my post about our recent mini-vacation to Almonte, where we had a dinner at ARIK that, months later, we still talk about. I’m not kidding, we say things like, “This dinner is good…not ARIK good, but good…” Bonus: the chef’s specialty is vegetarian food, so while the menu is full of decadent things like duck liver and beef, there will likely be something for everyone in your dinner party. Idea: instead of the usual New Year’s nonsense, set up a special night at the Inn, have dinner, and then ring in the new year more intimately, enjoying the snow from the window of your room wrapped in nothing but a giant comforter. I did a stay at the HotelIndigo Ottawa on my own, as a mini-staycation away from everything and everyone. I’d never done anything like that before, and now I recommend it to everyone. While you could definitely book a room at the Indigo for two, I actually suggest setting this up as a gift for your family-saturated friend or partner whose most precious commodity is time alone. Indigo’s styling is very modern—no horrid watercolour flowers, no quilted floral bedspreads—and the location in the heart of downtown means anything you want to do, eat, or buy is a quick step away. I heartily suggest you read my post, wherein I inform Indigo that I had such a great time, they should invite me to live on site as a truly ‘resident’ blogger. No response from them yet on this idea; I assume their marketing department is busily fleshing out the idea and preparing my permanent quarters. I haven’t yet visitedFlo, but rest assured I’ll be there in the new year. Flo is a glassblowing studio that offers classes for ages 2-102, and it looks like a great learning activity. For about $25, a kid the age of my Max (9 years old) can learn to make a witch’s ball (glass orb), and now that he knows about it, he’s super excited to try it. 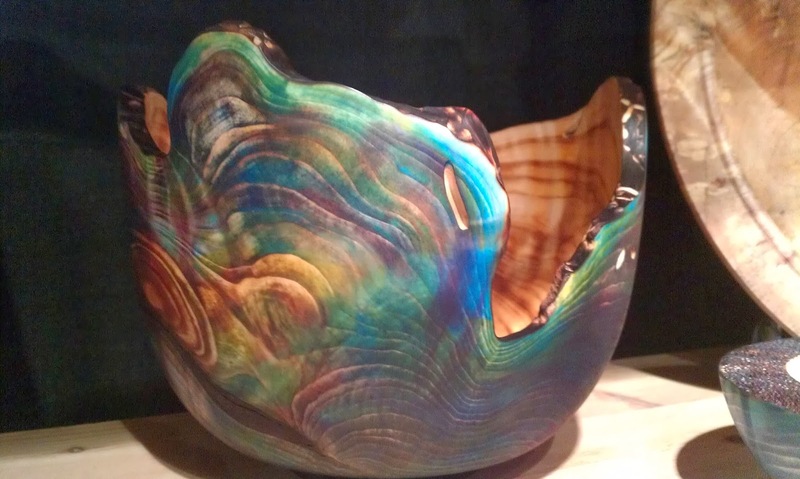 Dad and I will be heading out to try making paperweights, as we’ve been planning a glassblowing adventure for years. Check out their website to see what’s happening. Pyrrha is probably familiar to you; they’ve grown in popularity consistently over the last few years. 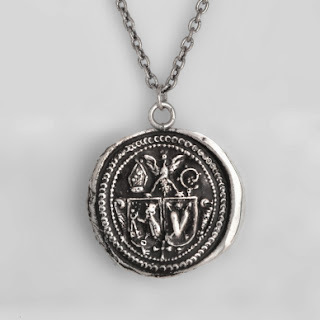 In a nutshell, Pyrrha pendants are cast in silver or gold, from antique wax seals. 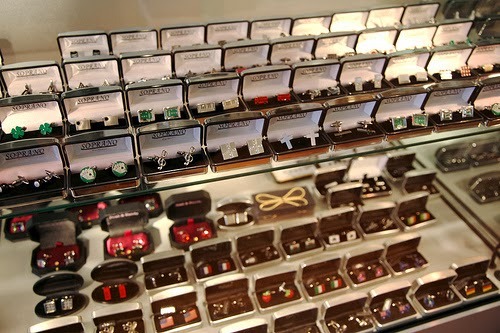 Each one has a special meaning, and they’re highly wearable by all genders. I have two of them (one I bought for my 30th birthday, and one bought for me by my sweetheart for our anniversary), and I could have a dozen more without feeling like they were getting redundant. Magpie carries this precious collection in Ottawa; check them out in Westboro, the Glebe, or Rideau Centre. You can also do some shopping online, and if you don’t see what you want, either contact Magpie or go straight to the Pyrrha source. Prices range depending on the piece (I'd say averaging $150), so don’t be afraid to look around ‘til you find something that works for you. I did a review of Sweet Secrets Confectionary, and I still can’t stop talking about them. 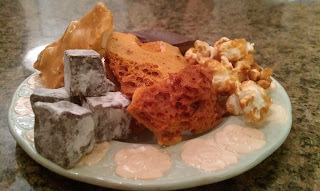 Their specialty is various kinds of brittle, but I love love love their ‘honeycomb’, a sponge toffee made from honey instead of sugar. They pride themselves on avoiding the use of corn syrup in their treats, and if you don’t buy yourself one of their ‘sea turtles’ while you’re shopping for your family, you’re a total fool. These are affordable and easy stocking stuffers…just lock them up or you’ll eat them all before they ever get under the tree. If you’ve got a vegan (or lactose-intolerant, like myself) that tends to feel left out at the holiday feasting, bring along a couple rounds of Mad Faux Cheese’s cashew-based cheese rounds. I discovered them at the Harvest Food Show, and I have been ordering from them ever since. The best part: it’s so good, non-vegans seek it out. Their classic brie is still my favourite. Freezable, this cheese can keep in the freezer until the right time to give it over. 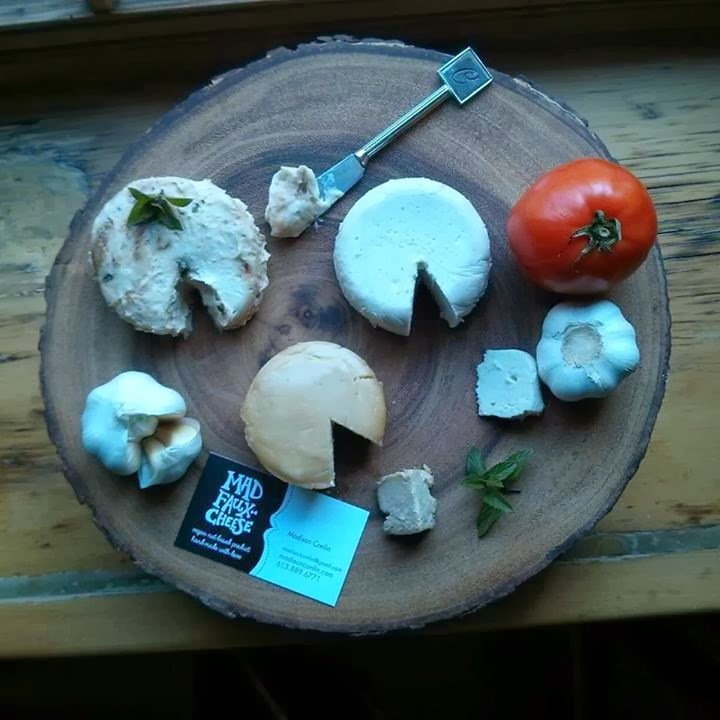 Rounds are approximately $8.00 and can be ordered online for delivery to Auntie Loo’s Vegan Bakery in Ottawa. 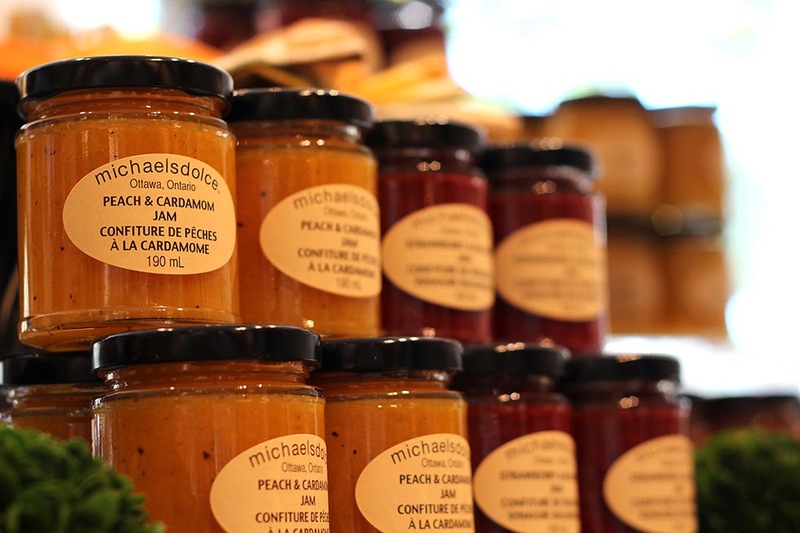 Michaelsdolce is, far and away, the best freakin’ jam you’re gonna find. I don’t know if I can even describe how awesome this stuff is. Go check out their flavours and see what I’m talking about; every one of them tastes exactly like the flavours in it…I know this seems self-explanatory, but most jam tends to just taste like a whole whack of sugar. I have a special adoration for their pear and vanilla, and what’s great is that they make some really tiny jars, so it’s easy to get a few flavours to test. You can serve these with cheese on toast rounds, or give the jam as gifts; either way, they’re a sweet addition to the holidays. If you frequent downtown Ottawa or Westboro, you may know Thimble Cakes; if you’re a southwest-ender like me, Thimble Café is nestled in Barrhaven. This nut-free, allergy-sensitive bakery and café is one of my go-to spots in town. If you’re vegan, dairy-free, nut-free, or gluten-free, you’ll find a treat here. 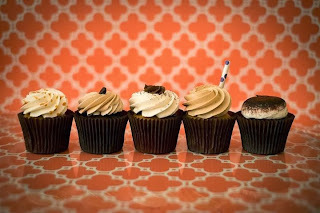 They have some fabulous cupcakes, scones, and loaves; and their vegan chocolate cake makes me drool. They’re always experimenting with their recipes, so I find a new surprise everytime I try something—sometimes even when I try something I’ve already tasted—but it’s a pretty safe bet you’ll enjoy your treat. 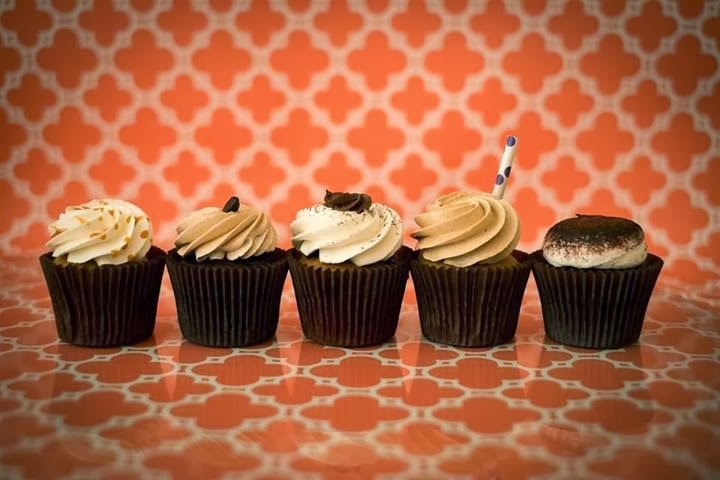 If you need a potluck addition for the Christmas feast, or want to be sure your poor allergy-ridden cousin gets something in her belly at the family gathering, head down to one of their locations and pick up some cupcakes. If you’ve got a favourite product or shop, from any city or online, comment below! We just ask that it be an independent business, handmade, or small-production shop. You’d think that would have quashed any nagging sense of sadness I’d have, but it didn’t. I woke up yesterday to head down to the courthouse, an hour late because I’d smacked my alarm and dismissed it. I frantically ran around the house trying to find the paperwork, and when I couldn’t find everything I called The Boy, sobbing, and told him I’d lost things. It took him about six seconds to calm me down, which was strangely bittersweet. The reality is, after you’ve been with someone in a bond as tight as matrimony, time and distance won’t change the fact that you know exactly how to push each other’s buttons—both the good ones and the bad. die and be eaten by dogs. Fun times, divorce! I sped down the highway, eating dry peanut butter granola right out of the box, and applying a solid coat of lipstick. The granola was because I’m a bear if I don’t eat; the lipstick was because I only have one source of advice on divorce, and that’s a book called The Grrl Genius Guide to Life. I’ve talked about this book before, because I’m currently helping the author, Cathryn Michon, market her new film Muffin Top. In the Guide to Life, Cathryn details her (tardy) arrival at her very own divorce proceedings. She explains that even during labour, her mother had always had applied a fresh coat of her signature lipstick, and Cathryn now carries the generational lipstick torch. I have learned the value of a good coat of lipstick, during this period of working entirely from home, sometimes in my PJ’s or just a pair of tights and a tee shirt because I couldn’t figure out what to wear and got distracted by Facebook. Between the grief of separation (which I’m convinced is always written on my face), and the hermititude of solo freelance work, sometimes putting on that lipstick makes me feel like I’m part of the human collective again. Anyway, I swished on a fresh coat before heading into the courthouse, which was a much better idea than a fresh coat of mascara, because I spent the next four hours bursting into tears. 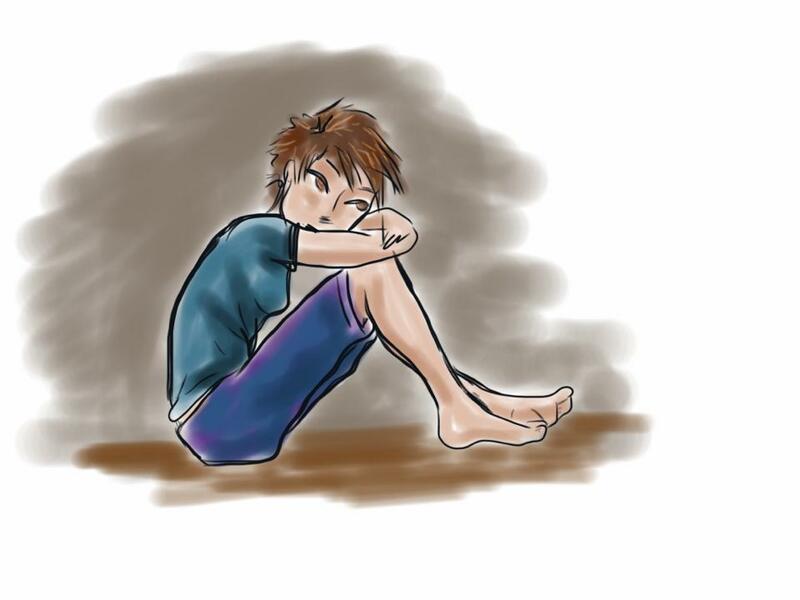 The mood was lightened as The Boy and I ate sour cherry gummies and watched the remake of 21 Jump Street on his iPad; between bouts of tears I now had bouts of embarassing laughter, which was much more noticeable in the somber waiting room. When it was finally our turn, The Boy (as usual) charmed the girl behind the counter, who then complimented him on his handlebar mustache. This is something he’s grown post-separation, and I hate it. I shook my head at the girl and assured her, the mustache alone was fair grounds for divorce. We all laughed. Which is strangely creepy, I know, but one of the things The Boy and I had in common was using laughter as medicine. When it all began: lying on my face was all I did. Somewhere between the tears, we updated each other on how our lives were going. I guess I ended up raving about Cathryn’s Muffin Top kickstarter, and maybe it was my passion, or maybe it was my pitiful bursts of tears, but somewhere in there The Boy pulled out his iPhone and donated to the campaign. I wrote to Cathryn last night and told her about this. I knew she would appreciate my tardy courthouse arrival with half-prepared files and a glossy coat of lipstick. I knew also that there was magic in the fact that, as I sat in that miserable place thinking about Cathryn’s divorce story, that story was giving me strength to deal with my story, and then somehow my story got all intermingled with hers again and then suddenly, I had my ex husband pledging money to fund the work of the woman who had made me brave enough to go through with the divorce in the first place. THIS IS MY WEIRD, WEIRD WORLD. The Boy and I went for a sandwich after the papers were all done. He promised to help me fix my iTunes, and I ended up dropping him off at a doctor’s appointment. This is not the divorce you see on TV; I don’t know what this is, but I’m okay with it. I’ve seen plenty of exes hating each other, tormenting each other, and ignoring each other; I’d rather this laughter, support, and kindness. There’s no right way to wrap up this story because it doesn’t really have an end to it. But the moral is quite clear: wear your lipstick like armor. And always watch stupid comedies in miserable waiting rooms. And also: if I’m shilling my project in the middle of my divorce proceedings, it’s possible I’ve finally found my calling in the marketing field. 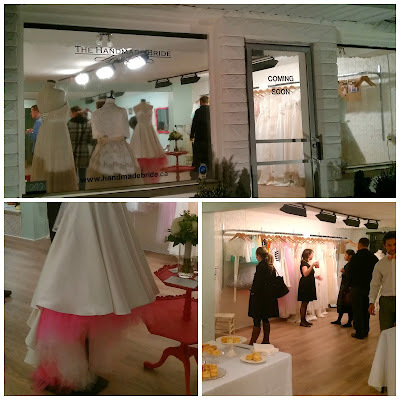 Last week saw the opening of a new, and very special, bridal boutique called The Handmade Bride. In a rather uncharacteristic move (as those who know my low tolerance for traditional romance will attest), I attended the opening night soiree. I’ve got a funny obsession with this little shop: I’d been following the Facebook page for well over a year before the opening, because I’m such a handmade-aholic, and getting a glimpse of all the cool things that would be in the shop was like a sort of bittersweet torture: when I’d been getting married first time ‘round, there’d been nowhere like the Handmade Bride to visit. Watching on Facebook all the pretty things being ordered made me a bit crazy, as I no longer had a wedding to plan, yet finally there was a boutique that would have met my needs. When we stepped in the doors of the little shop, located down in New Edinburgh in an ancient little space, I was immediately impressed. Owner Meaghan Brunetti has managed to transform the shop with a delicate touch, keeping the vintage feel by maintaining the tin panelled walls, and taking full advantage of the large shopfront windows to display her gowns. Best of all may be the long padded bench along the back wall, where wedding parties can sit in comfort while they wait for a bride to get changed. My own dress shopping experience had involved my Maid of Honor and mother perched awkwardly on various stairs and display stands; it’s these little details that lend credence to Meaghan’s assurances that she is just a ‘real person’ like the rest of us. So much of what the Handmade Bride offers is unique and quirky in a wonderful, tasteful way. The ties, available for kids and grown-ups (and also offering bowties) are some of the most playful patterns I’ve ever seen, while still being stylish and trendy. Modestly-hued feather fascinators hang along one wall, waiting to add a whisper of whim to a bride’s pretty hair. Invites and save-the-dates are displayed, with fabulous images of octopi and steampunky hot air balloons. There was much more to see, but obviously, the dresses stole the show. What’s fabulous about Meaghan’s selection of dresses is that they’re from small-production couturiers. Sounds expensive, right? But they’re not. 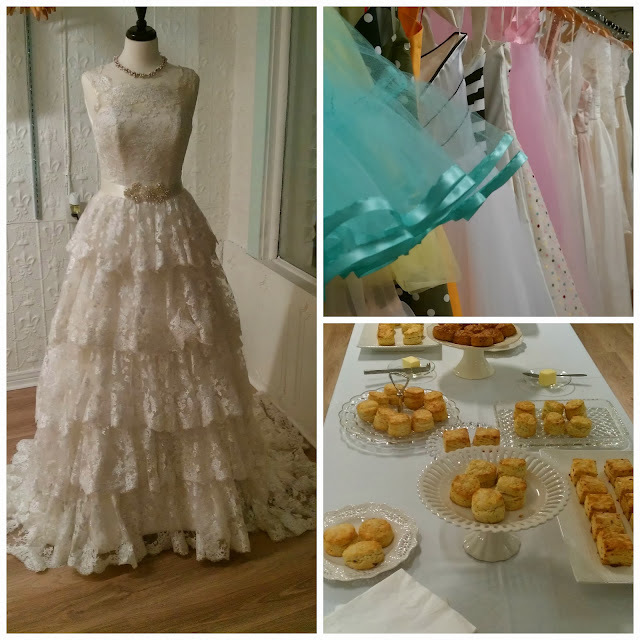 Meaghan shared that the dresses typically range from about $1000 to $3000 (though my favourite, the short polka-dotted 1950s circle dress, was only about 750.00); and if you like, say, a full-on Alencon lace gown but couldn’t afford it, she can offer you selections of different lace, fabric, and detailing so that you can get the dress you love at the price you can handle. 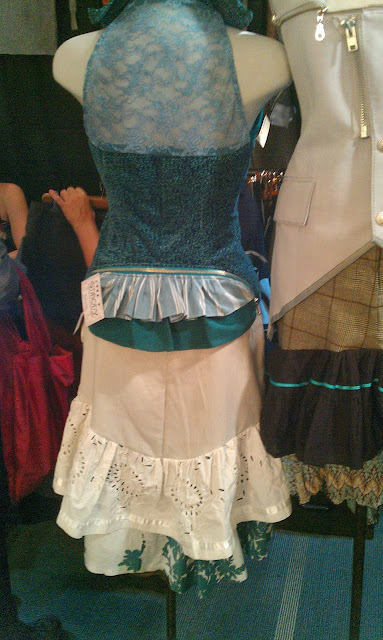 Aside from being custom-made and reasonably priced, she also has the widest variety of unique, modern, and quirky dresses I’ve seen in one single bridal shop. Ever. I’m serious, and I’m telling you: I visited easily sixty stores in my personal search. I generally have very little interest in wedding dresses, but I had to stop myself from begging Meaghan to let me try on about five of hers. 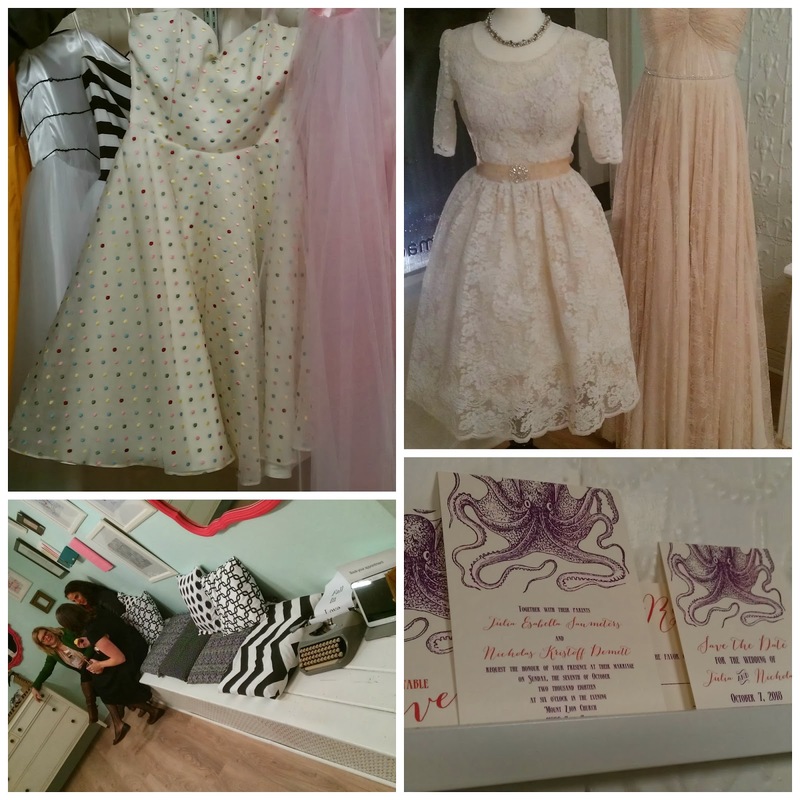 The Handmade Bride is a godsend to the Ottawa wedding industry. 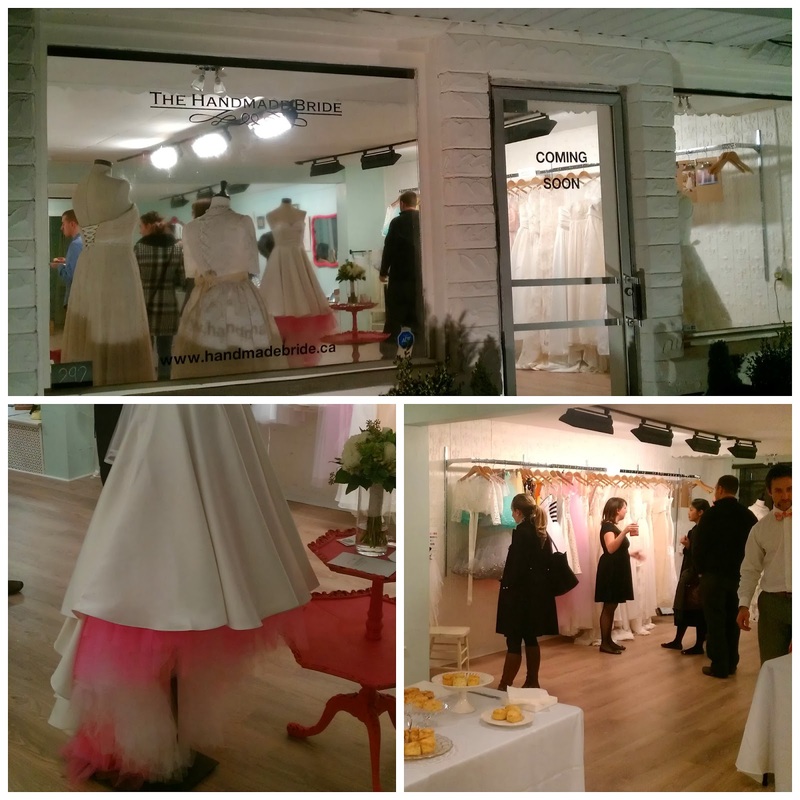 To finally have a shop that boasts such a range of independent artisans, at a price range to rival any of the box-store wedding barns, while offering Meaghan’s stellar ‘real human’ service approach…it’s enough to make a girl wish she had another wedding to plan, just to enjoy the experience of shopping at this adorable boutique. Follow The Handmade Bride on Facebook and drool with me. 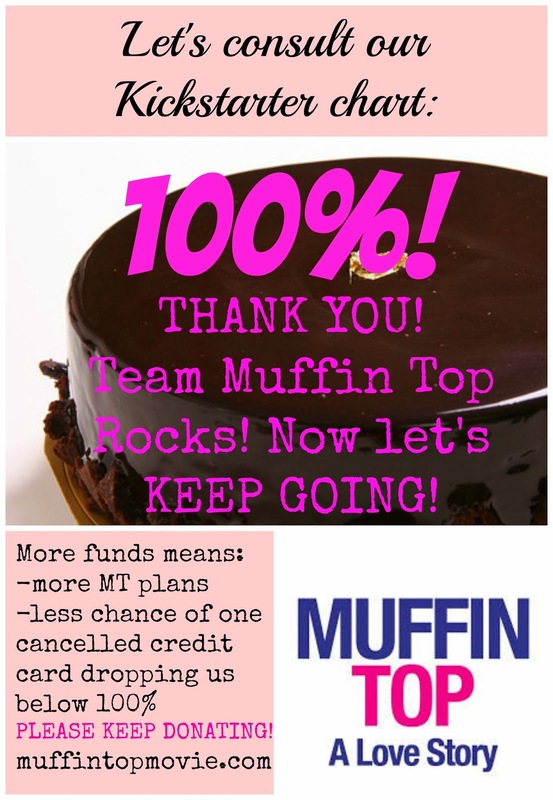 Our Muffin Top is HUGE, and we thank you. 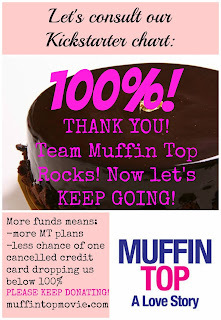 Remember the Muffin Top movie I've been helping to promote? Tonight, we reached and exceeded our goal of $75,000 raised on Kickstarter. Thanks to you awesome people, we've got enough funds to take this movie to select theatres across the continent, as it is also distributed electronically by 'on demand' services, iTunes, etc. I have been proud to be a part of this project, but also terrified, panicked, and desperate. The thing about Kickstarter is, if you don't reach your goal, you lose every penny. It's been a nailbiter, but with two days to go, we've blasted past $75,000. Which is good, because one single bounced credit card can drop you below your goal, and then you lose by default. See how much FUN this has all been? Except it has been fun. It's been a wonderful rollercoaster where I've been working remotely with some of the coolest, most passionate people in Hollywood; I've burned through two laptops keeping up with this campaign; I've gotten praised for my hard work by a (couple of) bestselling authors; I've witnessed the soulful mourning of our director when we lost one of our stars, Marcia Wallace, a week into the project. This has been a wild ride. I love how much this project has spoken to people about the importance of taking pride in oneself as a woman, and being yourself. I've seen fans do crazy things with us, like mutually post pictures of their muffin tops and double chins on Facebook, and do so proudly. (My own love handles are up there somewhere.) I've witnessed what I hope is truly the start of a movement of female self-empowerment. I sound like a bad Oscar speech right now; it's late, and it's been 28 days of insanity and my brain isn't working so good. I think I'll wrap up by sharing a link to a freakin' fabulous documentary I just discovered; it feels like yet another piece in this 'love thyself, grrl!' puzzle. Enjoy your evening. And feel free to keep donating; there's still time and we'll just do more cool stuff with the movie. I received a comment on my recent post about Lululemon's fat-phobia. The person, cleverly named "Anonymous", suggested I'd screen their comment out. Well, I wanted to assuage their fears that comments are screened out on this blog, so here we go: we'll make it into its very own post. I call shenanigans. I've been reading your blog and you yourself have referred to people as chubby. Moreover, seeing as you're SO familiar with Lulu's past, why did you take free stuff from them for your wedding? I see nothing but hypocrisy here and I won't be reading your blog anymore. There's too much: "I don't care about my weight..." but constant references to how small you are. Why the continuous defense of your size? Why mention it? I'll be wearing my Lulus quite happily from here on in. Free enterprise...that's the privilege we have here in Canada. If you don't like body messages, that's fine. But maligning the company that gave you a gift, while saying you don't care about your size, when you're clearly quite seriously concerned, is a bit of a spoiled brat move. 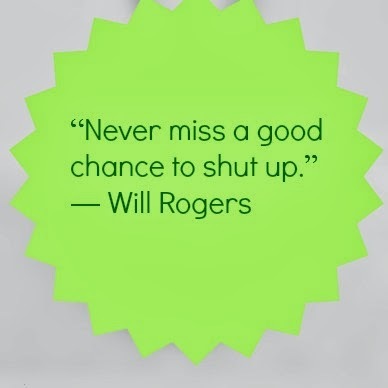 (As is monitoring comments to your blog, P.S. It's nice that you can trash Lululemon...but no one can post a comment to your blog regarding your hypocrisy without you "approving" it first. So even if, while reading this, you shouted "well, Canada gives me freedom of speech so if a company is bad, I get to say so! "...you're squashing that for people with the whole monitoring post. Nicely done.) You're definitely down this reader. Alright, let's take this piece by piece. Dear Anonymous, thank you for taking the time to write your comment. Sincerely. When I receive a comment like yours, I usually assume that at least one other person out there may have the exact same question or thought on their mind; so you taking the time to write me actually helps know what may be on others' minds. Thank you. I've been reading your blog and you yourself have referred to people as chubby. I undoubtedly have. Because I don't see 'chubby' as a swear word, any more than I see 'redhead' or 'freckled' as a swear word. It's not wrong or evil to take note of someone's physical characteristics. It's wrong to shame them or discriminate against them based on these characteristics. Moreover, seeing as you're SO familiar with Lulu's past, why did you take free stuff from them for your wedding? I see nothing but hypocrisy here and I won't be reading your blog anymore. You're right, Lulu did gift us some free things for my wedding...three or four years ago, they would have extended the offer. At that time, a) I was just being introduced to Lululemon, and b) the entire Lulu see-through pants debacle had not started. So while I'm terribly sorry to be losing your readership, I can't truly apologize for lacking the powers of precognition. There's too much: "I don't care about my weight..." but constant references to how small you are. Why the continuous defense of your size? Why mention it? I mention my weight when I discuss size issues out of fairness. I want to be transparent, that I am not currently identified as chubby/fat/heavy/etc by our culture (for the most part...I'm not a twig). It's so that readers like yourself can decide how you feel about my opinion while knowing exactly where I'm coming from with it. I've also many times disclosed that I used to be much greater in mass; this is also relevant, as both experiences affect my perspective. If you're inferring that I'm showing off or something, I cannot tell you how sorely mistaken you'd be. I've just found over time that if I don't bring up the fact that I'm light in mass, someone else will bring it up for me. Oh, also: I do care about my weight. I live in North America, for god's sake. I read magazines and watch movies and hear how evil my cellulite is all the time. Of course I care about my weight. If I ever EVER suggested I was somehow immune to body image issues, it was an error. But I also know that I was just as smart, funny, and talented at a size 12 as I was at a size 4. I'll be wearing my Lulus quite happily from here on in. Free enterprise...that's the privilege we have here in Canada. If you don't like body messages, that's fine. 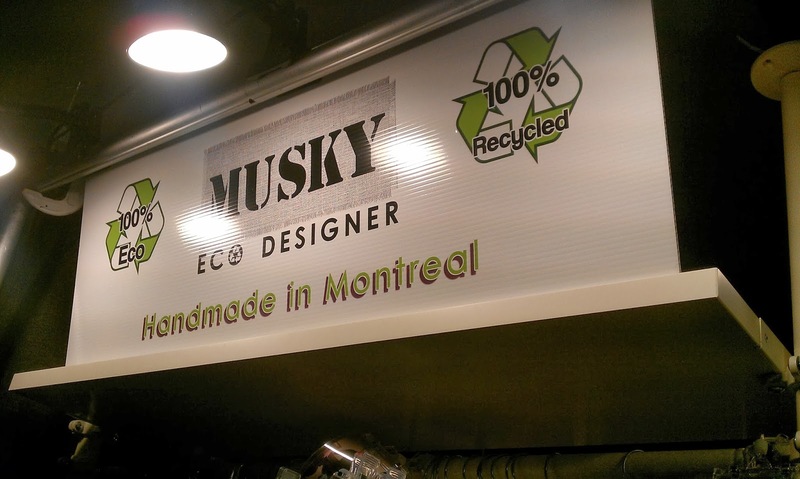 Yes, we have free enterprise here in Canada. Hurray. Truly. And you know what's great about our economic system? It's all about supply and demand. Lulu is welcome to keep making translucent yoga pants and declaring that women of greater mass aren't supposed to wear these clothes...and I (and many others) are allowed to stop buying their products. I think we often forget that in the end, the power is in the hands of the consumer. So you go ahead and keep buying your Lulu's, but I (and many others) won't. ...no one can post a comment to your blog regarding your hypocrisy without you "approving" it first...you're squashing that for people with the whole monitoring post. Boys potty training () girl have more to learn how to properly teach a child to communicate his or her own pace. Potty training boys is to know when your son will be asleep, in any other case, wake yourself up and / or keep up an extra hour. I can happily say now that potty training girls, the parent must give his undivided attention to the task at hand, but what does this mean for you? ...While I apparently risk offending you by virtue of your assumption that I'm maliciously screening out anyone that disagrees with me, I'll continue to moderate comments to avoid a constant deluge of ridiculous robot-generated nonsense comments. 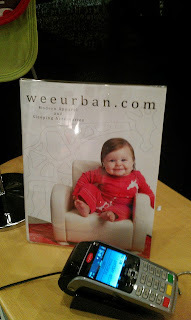 So to sum up: I'm not afraid of the word chubby; I was indeed a Lulu fan until I learned of their attitude towards women's sizes; I talk about my size so that I'm transparent about my perspective; 'supply and demand' is king, so I believe consumers can take back their power by boycotting; and you can post comments all you like on my blog, provided they are respectful and don't resort to name-calling, personal slights, threats, abuse, or robot-generated gibberish. Your comment was borderline, but hey: it's up now, and it's been a great opportunity for me to tackle some of the most common and prosaic counter-arguments of the Lulu debacle. So thank you again, Anonymous, for your shenanigans. If you'd like to continue spouting negative at me, feel free to email me directly; alas, since you've sworn off reading in favour of your yoga pants, I'll be deprived of your response. Oh well. It’s one of those rare and precious days where even the predicted worst parts turn out well. I had victories today, people. VICTORIES. The kind that you want to show off at school reunions. I had personal victories, the kind where you thank the powers above that there’s someone looking out for you. I had romantic victories, too; the kind that bring you closer together and make the whole world feel sweet. I had victories in my journey, in my battles and against my naysayers. This week is one where I inadvertently scheduled no less than two missions/battles per day; so far, I’m standing on a mountain of the bodies of my vanquished foes, be they people or personal demons. Tonight I will curl up in my warm house while the sparkling wet snow blizzards around us outside. I will bury my face in the warm fur of my puppy; I will rest my head on the shoulder of my sidekick; I will close my eyes with happy thoughts of accomplishments and new potentials. Tomorrow may bring other battles, other foes, other evils; let them come. They cannot take away today. Sometimes one has to live for the brief moments of peace that are nestled between each battle…the commas in the long sentence of life. They are rarely long pauses, more like short opportunities to catch your breath. I caught my breath today and it was grand. The soundtrack to my life is now a constant symphony of squeaky toy sounds. The puppy is a fiend for squeaky toys. He does not, however, have a very long attention span. I suppose, once he’s determined he has officially killed the plush wart hog/ bunny/ fox/ bear, he is no longer interested in that toy and wants to find a new one. The only toy he does not tire of, is my shoes. 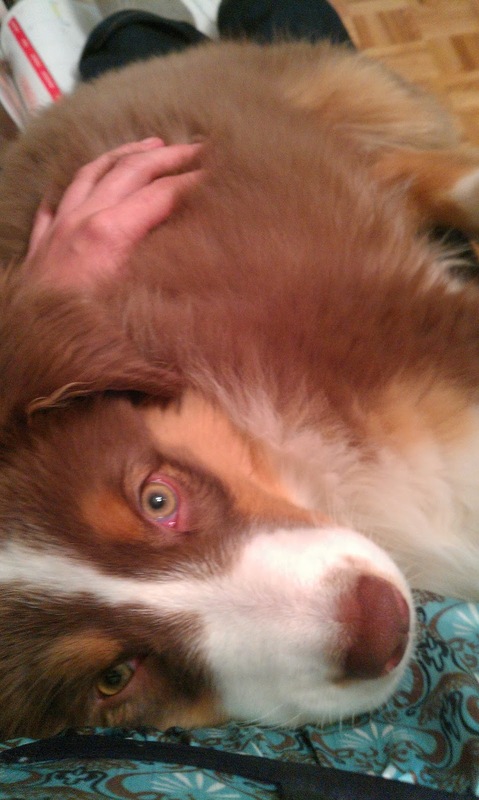 He’s also regressed a bit on the potty training; we’ve been working on it all week, so now when he has an accident, I’ll say, “No no no, puppy…” and before I say anything else, he runs to the back door to scratch. It’s a process. I get this. What I do not get is why he insists on eating all the bark off of the firewood pile in the backyard. I pull it out of his mouth as fast as I can, but he’s unstoppable. Today I looked over at him in the yard and he tried to look casual while chunks of wood kept falling out of his lips. And of course, we had our first ‘table surfing’ experience, wherein a dog finds food on a high human surface. The food was a giant chocolate birthday cake that I’d just unboxed; I turned my back to get the candles, and next thing I knew, there was no icing on the front side of the cake. Lucky for him, these things are mostly ‘chocolatey’ coating and not real cocoa. I can’t blame him: the icing is my favourite part and I’d happily do the exact same thing, given the chance. What compensates for the constant vigilance, worry, frustration, and wood splinters, is the moments when I sit on the step and he climbs up in to my lap, then curls up like a cat. That won’t be as cute when he’s sixty pounds, but for now, it’s my favourite thing in a day. We hit the Signatures Craft Show at the Ottawa Convention Centre this evening. The show runs all through this weekend, so be sure to head down, because it's a great one this year. 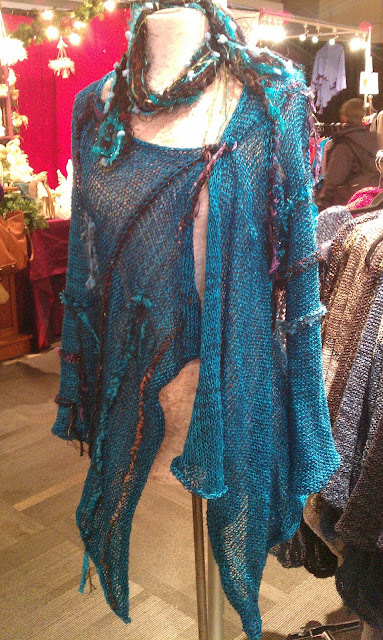 It's heavy on the clothes, but not in a bad way: there are tons of great artisans working with repurposed and recycled textiles, and some fabulous weavers and knitters. The price point coincides with the workmanship--meaning, you're not going to walk away with much left in your wallet--but the Signatures Show hosts some of the finest professional artisans around, so you know you're taking home a treasure. There were a remarkable number of artisans from Montreal, though that doesn't surprise me: Montreal is a hotbed for the arts. 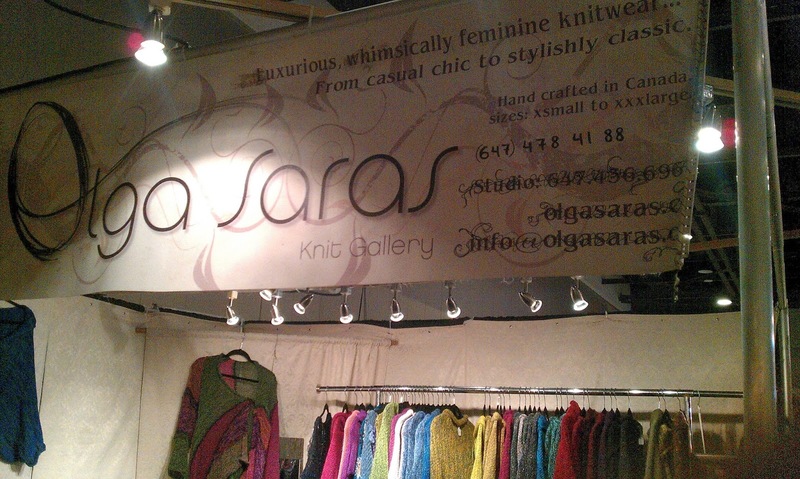 Incredible knitwork by Olga Saras. My favourite artist of the night: Olga Cuttell of Ola Design. 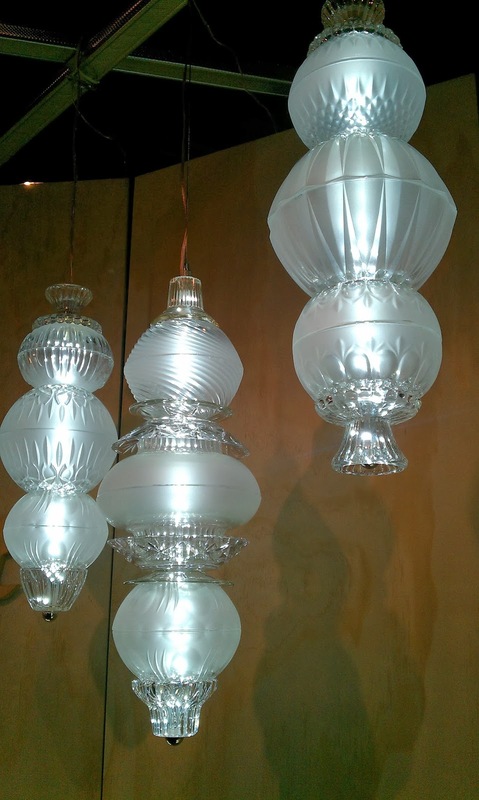 Inspired recycled lamps by Tat. Another recycled glass lamp by Tat. 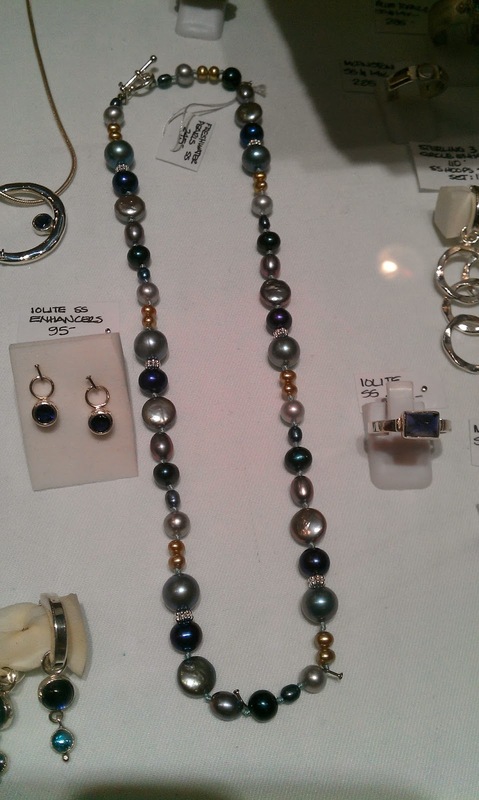 A regular and a favourite: pearls by the girls at Ted Devine Jewellers. Everything Embody makes, I covet. 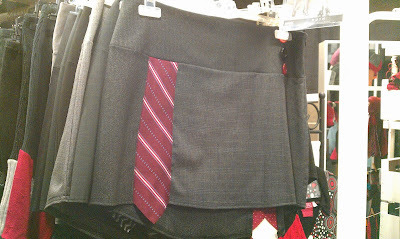 Outstanding vest and skirt by Embody. For those people shopping for tiny things or stocking stuffers, you'll likely find your best price point amongst the food vendors, who were primarily the usual suspects. But this is one of those shows where I like to indulge myself and say, "Forget the holiday gifts; I'm gettin' myself something pretty!" It's also a fantastic show for bringing your mate along, and showing him/her what you covet...then eppear to wander away and not notice that your sweetie has lingered behind, doing a quick transaction and getting you that special scarf/dress/necklace/painting. 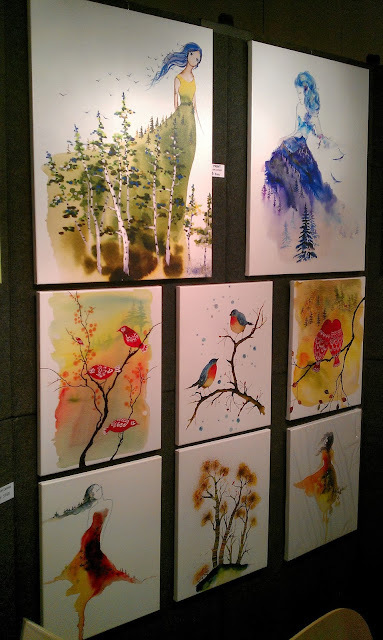 The show runs through the whole weekend, and is right downtown at the Ottawa Convention Centre. It's just large enough to feel like you need a map to keep track, and just small enough that you run out of steam at the last booth. I think this may have been the best Signatures show yet. Some incredible new artisans, some oldies with new ideas, and generally about a dozen things I will be pining after for days. 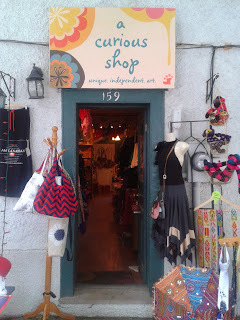 Welcome to the blog, A Curious Shop! You're Invited to a Geeky Girl Movie Day! 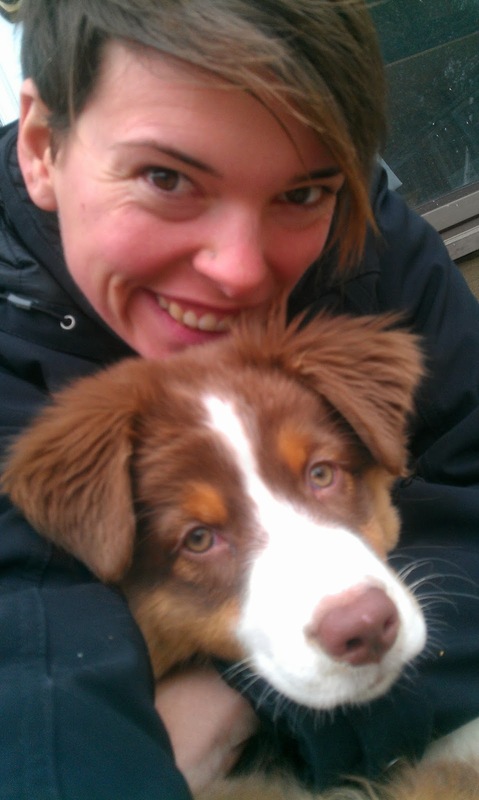 Ottawa Pet Expo 2013: ticket giveaway! Bank Street BIA Zombie Invasion: wrap-up!